KNOXVILLE, Tenn. – The No. 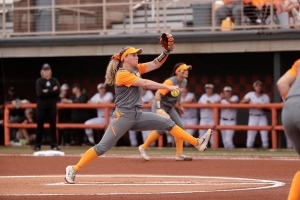 9/8 Lady Vols used a balanced offensive output and a solid outing from Caylan Arnold to run-rule Mississippi State in five innings and take the series, 10-2, at Sherri Parker Lee Stadium on Saturday. Arnold allowed three hits and fired four strikeouts in five complete innings to get the win. 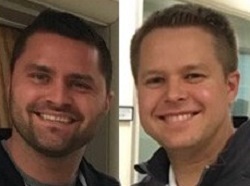 The victory was the junior’s eighth of the season. Aubrey Leach and Kaili Phillips scored two runs apiece to lead the Lady Vols in that category. 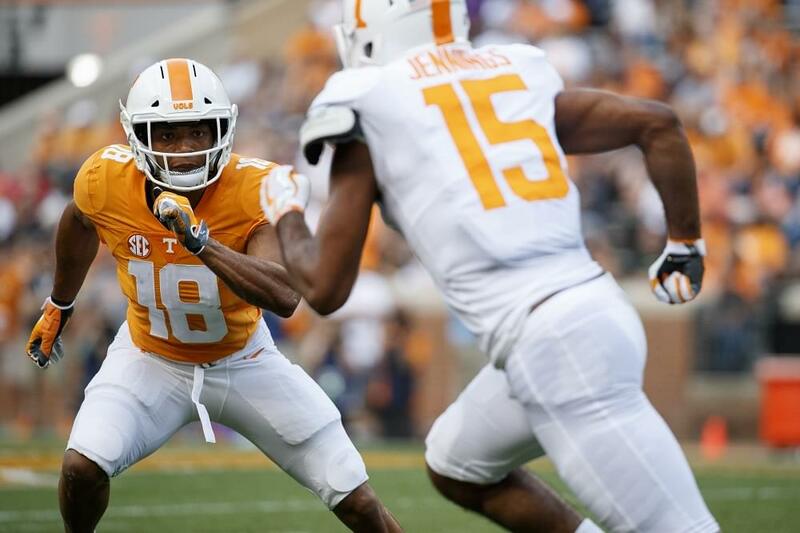 Tennessee recorded six hits during the contest, all six by different players. Mississippi State got the scoring started early, putting a run on the board in the top of the first. Bulldog catcher Mia Davidson scored the run off an RBI by outfielder Fa Leilua after initially reaching base on an error. The Lady Vols answered right back in the bottom of the first with a pair of runs to take the lead. Facing a 3-2 count with two outs, Haley Bearden registered a double to center field that scored Chelsea Seggern and Leach. Tennessee pushed its advantage to 4-1 with another two runs in the bottom of the second, as Phillips and Cailin Hannon crossed home plate. Phillips and Hannon both reached base on walks before scoring on RBIs by Jenna Holcomb and Kaitlin Parsons. Following a Mississippi State solo home run in the top of the third, the Lady Vols once again answered, this time with a four-run third inning. Leach scored her second run of the day on a sacrifice fly by Amanda Ayala. A bases-loaded triple by Madison Pacini then drove in three more runs, as Phillips, Bearden and Ashley Morgan all scored to extend the Tennessee lead to 8-2. Pacini’s triple was the first of her Tennessee career. The Lady Vols reached the run-rule with two final runs in the bottom of the fifth. Ayala and Tianna Batts scored, the latter on a two-out single to shortstop by Gracie Osbron that ended the game. ON DECK: Tennessee goes for the sweep against Mississippi State at Sherri Parker Lee Stadium on Sunday, April 13, at 1:30 p.m. EST. The game is set to air on SECN+/WatchESPN App, while a live radio stream will be available on UTSports.com and the Tennessee Gameday App. The game will also be broadcast on AM 990. For the latest news and information on the Lady Vols, follow Tennessee softball on Twitter (@Vol_Softball), Facebook (Tennessee Softball), Instagram (@Vol_Softball) and //UTSports.com/Softball.